A soft and delicious hay made for Rabbits. 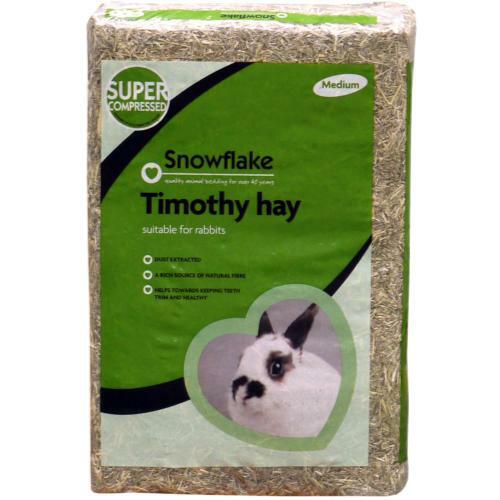 Timothy Hay is a rich source of beneficial fibre and helps to keep he digestive system working smoothly. It's also great for keeping pets chewing naturally, which wears down those constantly growing teeth and keeps them in good condition. It's been super compressed and has had the dust extracted to avoid breathing problems.